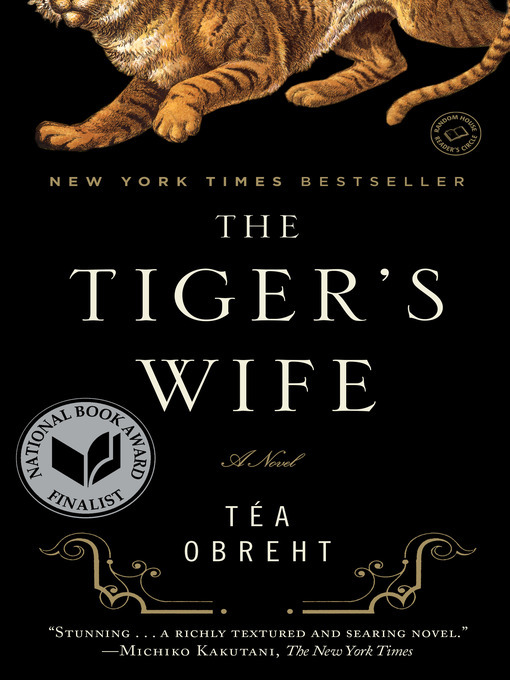 Weaving a brilliant latticework of family legend, loss, and love, Téa Obreht, the youngest of The New Yorker's twenty best American fiction writers under forty, has spun a timeless novel that will establish her as one of the most vibrant, original authors of her generation. But Natalia is also confronting a private, hurtful mystery of her own: the inexplicable circumstances surrounding her beloved grandfather's recent death. After telling her grandmother that he was on his way to meet Natalia, he instead set off for a ramshackle settlement none of their family had ever heard of and died there alone. A famed physician, her grandfather must have known that he was too ill to travel. Why he left home becomes a riddle Natalia is compelled to unravel. Grief struck and searching for clues to her grandfather's final state of mind, she turns to the stories he told her when she was a child. On their weeklytrips to the zoo he would read to her from a worn copy of Rudyard Kipling's The Jungle Book, which he carried with him everywhere; later, he told her stories of his own encounters over many years with "the deathless man," a vagabond who claimed to be immortal and appeared never to age. But the most extraordinary story of all is the one her grandfather never told her, the one Natalia must discover for herself. One winter during the Second World War, his childhood village was snowbound, cut off even from the encroaching German invaders but haunted by another, fierce presence: a tiger who comes ever closer under cover of darkness. "These stories," Natalia comes to understand, "run like secret rivers through all the other stories" of her grandfather's life. And it is ultimately within these rich, luminous narratives that she will find the answer she is looking for.